I’d been emailing my son for four weeks, waxing lyrical about the heat and endless hours of Spanish sunshine. I’d written about the regular stops at cafés, the cathedrals, culture, wine and food. 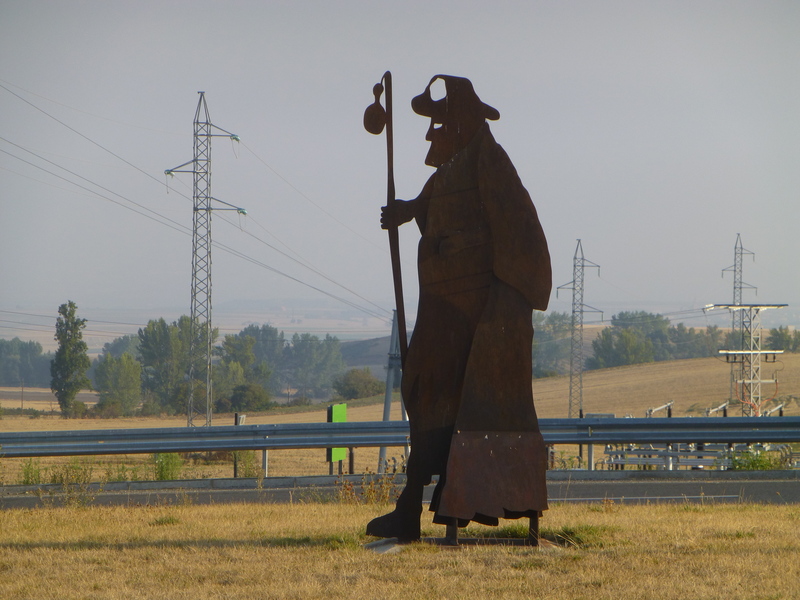 So, lured by balmy temperatures and the alfresco lifestyle, he agreed to come and walk with me for the last 120km to Santiago. And then, just as he was flying into the country, we entered Galicia. We climbed to the top of O’Cebreiro then higher to Alto do Poio where, at 4380ft, Galicia showed us it was made of sterner and more demanding stuff then the regions we had left behind. Waterproofs went on for the first time in four weeks and instead of shielding me from the sun, my trusty (tied down) Tilley hat had to keep out the worst of the storm that lashed down on my head. 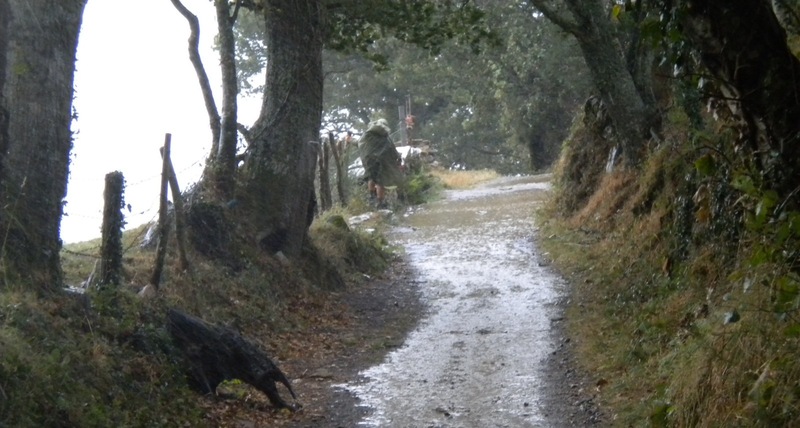 We shared some of the narrow paths with horses – caballos – today and the smell of leather, thornproof waterproofs and damp animals was intoxicating. But for once I wasn’t envious of the riders in their heavy ponchos who looked cold and uncomfortable as the rain poured down and they had to negotiate their way around the endless stream of drenched travellers. 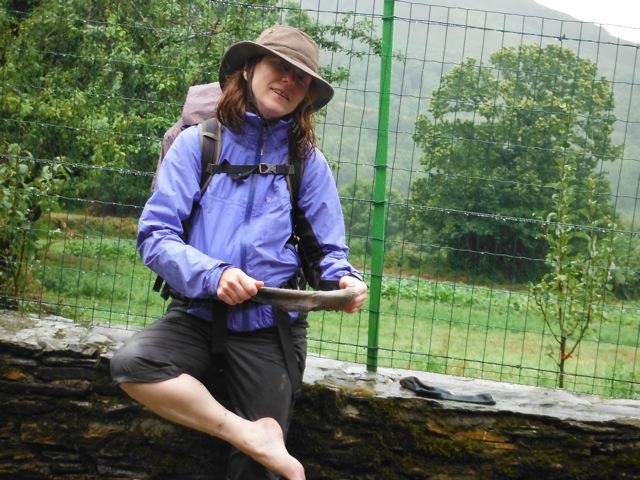 But being a Scot I was thrilled by the onset of the spectacular wild weather and found myself singing John Bunyan’s “To be a Pilgrim” for most of the 10 long kilometers down the hill to Triacastela, on paths that were being washed away into streams that filled our boots with water and gravel. The nearest albergues were full when we arrived but at one an old Spanish lady called Olga loitered near the desk. She beckoned and urged us to follow her into the street where we found ourselves hijacked in her rickety car and speeding down the road to some (costly) bunks in a renovated garage! In dire emergency, perhaps, it would have been a Godsend. But it hadn’t yet come to that. We escaped. In the end we waded in to Albergue Aitzenea, a stone building where our old pals Nathan and Carmen greeted us as they sat writing at a table. I bagged a bunk for Robbie and we all went to dinner round the corner with French Jeanine who had taken photos as we walked. 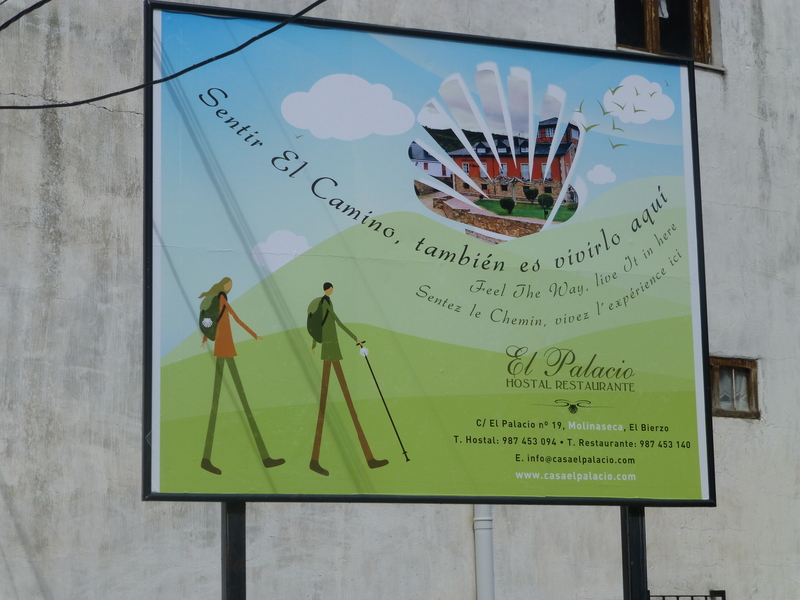 Then Robbie arrived in a taxi and was integrated into camino life with an evening of laughter, stories, wine and a 10-euro three-course meal. And the downpour outside made it feel just like home.